March has been a really busy month for us; we attended 4 wedding fayres, our cars have been out on several occasions, it’s rained, it’s snowed and it’s been cold! We attended fayres this month in Solihull, Edgbaston and two in Sutton Coldfield. The month started at the Regency Corus Hotel in Solihull, then following a weekend off we attended our first fayre at Edgbaston Cricket Ground which was hosted by Heart Radio. This was our busiest fayre for a while; we had lots of enquiries both on the day and in the subsequent days. We finished the month with two fayres in Sutton Coldfield, firstly at Sutton Coldfield Town Hall then at Aston Wood Golf Club, although both of these fayres were a lot lower key than Edgbaston they were both very productive for us. All of the weddings we’ve had this month have been weather affected! Mainly the rain but last week we were having to plough through the snow, at the end of March! Our first April wedding is next Wednesday, and at this stage the forecast is looking good, well it doesn’t look like it’ll be snowing or raining! Before then it is time to get involved in the Easter fun, now where are my Eggs? Central Wedding Magazine – Love Wedding Cars Contribute To The Wedding Car Editorial! After placing an advert with Central Weddings we were invited to provide the car editorial for the Spring/Summer magazine, we thought about it for half a second and then called back to confirm we’d be very keen to do it! We are really pleased with the result and despite it only hitting the magazine stands in the last week we are already getting enquiries. Our thanks for her support and for asking us go to Cheryl at Central and Independent News and Media. https://www.loveweddingcars.co.uk/wp-content/uploads/2013/03/Central-Wedding-Magazine-1-1.jpg 1643 1147 Daniel Musson https://loveweddingcars.co.uk/wp-content/uploads/2017/02/lwc-logo-1.png Daniel Musson2013-03-13 17:49:472018-01-24 18:09:13Central Wedding Magazine - Love Wedding Cars Contribute To The Wedding Car Editorial! The Wedding Of Kate & Greg – St Peter’s Church, Elford & Packington Moor, Lichfield. Today we provided the wedding transport for Kate & Greg, they chose our Regent Landaulet In Black And Ivory with navy blue ribbons & bows. Despite the unwelcome rain they had a great day, as usual we were prepared with our umbrellas! They loved the “cute” windscreen wipers and thought the champagne was excellent; despite the short journey from the church to Packington Moor they finished it with about 30 seconds to spare! All the very best for the future Kate & Greg and thank you for chosing Love Wedding Cars. https://www.loveweddingcars.co.uk/wp-content/uploads/2013/03/More-Kate-Greg-217-1.jpg 684 912 Daniel Musson https://loveweddingcars.co.uk/wp-content/uploads/2017/02/lwc-logo-1.png Daniel Musson2013-03-07 21:02:352018-01-24 18:09:13The Wedding Of Kate & Greg - St Peter's Church, Elford & Packington Moor, Lichfield. We are getting to know lots of great contacts as we continue to build relationships within the wedding industry. 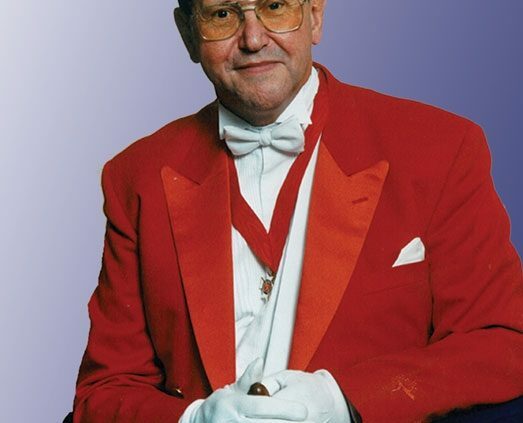 Someone who we have seen in action and we would like to personally recommend is Keith Prescott; a Wedding Toastmaster and Master of Ceremonies. Keith has a great personality and is one those people you can’t help but like. He has many years of experience and adds a touch of class to any event he is invovled in. As well as weddings, he is also is able to assist with Civic Occasions, Charity events, Fund raising Gala nights and all types of Corporate occasions. Keith can be contacted via www.suttoncoldfieldtoastmasters.co.uk or 0121 378 4457.